I have a 2011 MDX(my wifes) and the low oil message came on the NAV system. So I went to check the oil. I tried checking it after sitting overnight AND after driving it up and down the block and letting it sit for 5-10 minutes. I pull the oil stick out, wipe it off, put it back in. Its not clean at all and hard to get a true reading. See attached pic. I dont want to overfill it with oil by accident. I cant tell if this truck has too much oil or not enough. Any assistance would be appreciated. It was the same reading overnight as it was warmed up. Basically hard to read either way. Stop in one and have them show you. Place the edge (last 2") of the oil stick against the paper towel and let the oil soak in. Remove the oil stick, to see how long the oil residue mark is. Keep adding 1/2 quart at a time, until the oil residue mark is half way, between the stick's marks (holes). How long since your last oil change? You might have to check every 500-1000 miles to get a feel of how much oil you are burning per change. I'm usually about 1 quart per oil change; but, only top off about 1/2 -2/3 the way through my 7500-8500 interval to keep my needed oil level 1/2 quart at most. I find my oil level can vary if there is a slight incline, decline, or tilt of my 11 MDX. I can only check in my level garage for the correct level compared to my driveway with a decline and slight tilt. Not sure what your trying to say here. Typo ? Most definitely needs an oil change. It's at 5%. 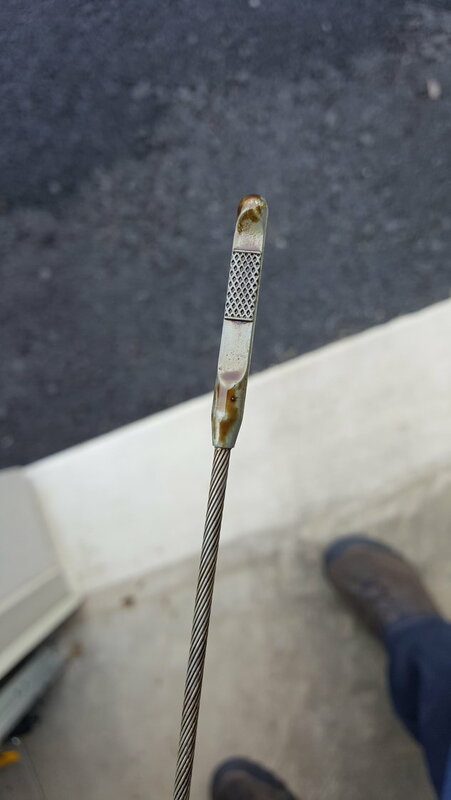 I have a TL as well and my oil reads normal (in the gridlines) and the oil is not anywhere but the bottom of the stick. The MDX oil is all over the stick, which is what I find confusing. But no matter, I think I will just add oil to it and then get an oil change. Because the dip stick has a soft material I believe you are seeing oil resedue from the dip stick touching the interior of the tube on the way down in to the engine... the first gen dip stick was rigid and did not do this. mrgold, have you seen any posts, on how to do a "piston soak" to an MDX? The goal would be to loosen and flush away ant carbon build up, within the center ring's gap. In turn, that center oil control ring could expand, to form a better contact, against the cylinder wall and reduce oil consumption. I haven't heard of this fix for the MDX oil consumption issue. My oil usage isn't as bad as other. I can pretty much only have to add 1 quart per 14,000-16,000 miles if I keep the level no lower than 1/2 way on the dipstick level (oil is topped off around 8K at the dealership when I change the oil). How much oil is represented between the lower and upper mark in the oil dip stick? The Dip STick... Why is it so hard to read?